We were voted one of the Best Places to Buy Eyeglasses by Washington City Paper! The Optical Boutique at All Eyes On Rockville is tailored to meet your visual comfort and unique style. It's no accident that we were voted one of the "Best Places to Buy Eyeglasses" by Washington City Paper Reader's Poll. 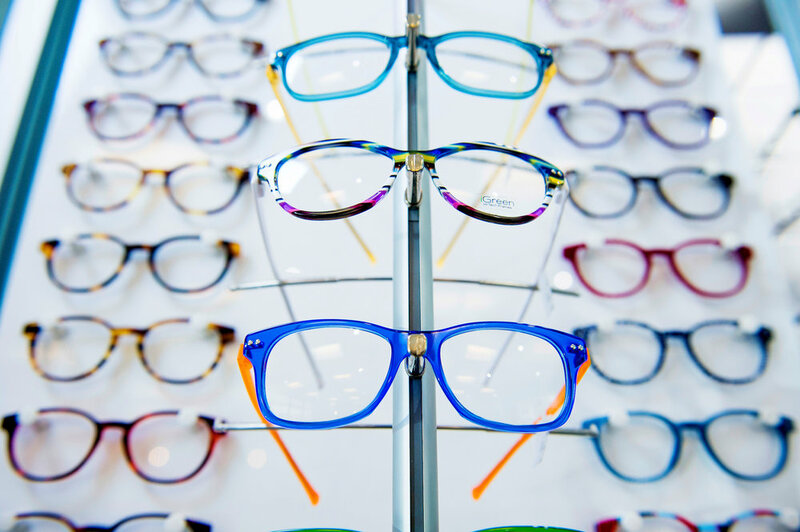 You'll love our customized fitting by expert Optical Consultants, wide selection of quality-crafted frames for every budget and style, and speedy service. Come in and find out why we have 5 stars on Yelp. Scroll down to learn more about what we offer in prescription glasses, sunglasses, lenses and to understand why you should visit us over discount or trendy alternatives. Also, check out on Instagram! Ranging from petite to full silhouettes and conservative style to upscale fashion glasses, our boutique in Rockville, Maryland meets the needs of a wide range of individuals. We carry lines such as Robert Marc, Jono Hennessy, Ray Ban, Silhouette, Woow, and more. We pride ourselves in meeting the needs for safety and durability for active children with a wide selection of colors and styles to choose from. Children will actually want to wear their glasses! Get your child ready for their visit at our kidzone, designed just for them in mind! Digitally designed lenses are now the lens of choice. The optical quality inherent in lenses made by such companies as Zeiss and Shamir, give pristine clarity to the world. Premium hi-index lenses are an ideal for people with relatively high prescriptions, providing a thin, light and cosmetically appealing look. Photochromic lenses are eyeglass lenses that darken automatically when exposed to sunlight, then fade back when you return indoors. Also known as a “no-line bifocal," a progressive lens is an amazing design, allowing multiple vision fields to be incorporated into a single lens without any clear distinction between the fields themselves. The power in the lenses "progressively" changes from far-to intermediate to your full reading power. An occupational solution to the daily demands of the digital world, the office lens offers clarity and comfort, visually and ergonomically. Read more about digital eye strain and/or computer vision syndrome here. If you’re looking for eyeglasses in the Rockville, Maryland or the Washington, DC area, come visit our Optical Boutique! Make an appointment today.